As a writer, do you have habits? I'm a creature of a series of habits which I've developed over my years in this business. For example, I begin each day spending time reading the Bible. It's a pattern that I've done for many years. Each year I select a different version of the Bible to read throughout the year. This year I'm reading Eugene Peterson's The Daily Message. It's part of my spiritual habit that feeds into my life as a writer and editor. Your habit for meditation may be different but I encourage you to have some sort of meditation to begin your day. Besides spiritual habits, I have habits with Twitter. In past entries, I've detailed how each day I'm using tools (mostly free) to grow my presence in the market and community—and also increase my presence on social media. These habits do not take much time but have consistently grown my presence—so they will be something I will continue in the days ahead. I have a number of other habits in my life—consistent practices and actions. During the last year, I've stepped up my consumption of books by listening to more audio books through Overdrive. Recently I completed listening to the audio book of The Power of Habit by Charles Dihigg. The book explains the science and practical nature of habits including how we form new habits and replace old ones. I found the stories fascinating and informative. Until listening to this book, I didn't know about the history of the creation of toothpaste and how brushing teeth became a habit. If you want to learn about this important aspect of life, I recommend you track down this book through your library (Overdrive like I did) or purchase a copy and read it, then apply it to your own life. Another resource on habits that I recently read is Millionaire Success Habits by Dean Graziosi. I enjoyed the book and learned a great deal from it. 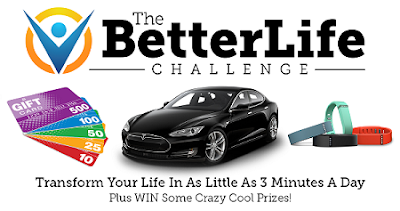 Apart from the book Graziosi has created The Better Life Challenge where in 30 days you can transform your life in as little as three minutes. This resources is FREE and you don't have to read the book—but simply take action every day for 30 days. Just use this link to learn more details and sign up to learn through this tool. The writing life is much more of a marathon than a sprint. I often meet writers who believe that one book or one action will propel them to bestseller status. Sadly this belief is a publishing myth. Repeatedly I hear about writers who are called an “overnight” success because they've suddenly sold a lot of books. Yet when you look into the details, you will normally discover this author has been in the trenches faithfully working for years to achieve such a position. What skills or habits do you want to develop in the months ahead? Are you taking consistent action to gain the knowledge and insights you need to get there? Tell me about your plans in the comment below and if I can help you, let me know. W. Terry Whalin is an acquisitions editor at Morgan James Publishing. He is the author of more than 60 books including Book Proposals That Sell, 21 Secrets to Speed Your Success. Terry has almost 200,000 twitter followers and lives in Colorado. "What you think, you become" is attributed to Buddha. Whichever you choose, bottom line is we have control over what we become or accomplish through our thoughts. 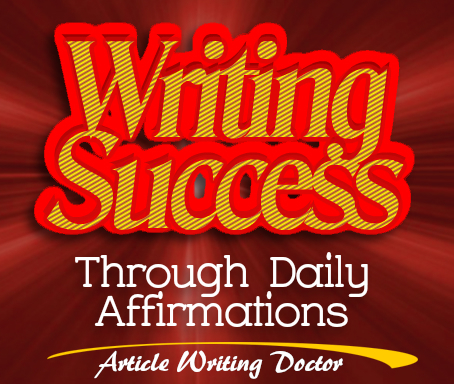 Below Jack Canfield shows how to use daily affirmations to change your thought process and achieve success, including writing success. You need to let go of any and all negative thoughts and images and bombard your subconscious mind with new thoughts and images that are positive and stated in the present tense. The technique you use to do this is called daily affirmations, which is simply a statement that describes a goal in its already completed state. I am joyfully walking across the stage as I receive my MBA degree from Wharton. I am so happy and grateful that I am now crossing the finish line of the Boston Marathon. In addition to all of the feedback I have received from hundreds of thousands of students from around the world about the effectiveness of their using daily affirmations, there’s now new academic research that shows in high-stress level environments those who do daily affirmations have lower stress levels and more success than those who don’t. Discover how you can use affirmations to re-create your self-image, replace your limiting beliefs, and achieve success in my Daily Affirmations for Success Guide. Daily affirmations are to the mind what exercise is to the body. It helps eliminate negative and limiting beliefs and transforms your comfort zone from a limited one keeping you trapped in mediocrity to a more expanded one where anything is possible. It helps to replace your “I cant’s” with “I cans,” and your fears and doubts with confidence and certainty. - Daily affirmations are reminders to your unconscious mind to stay focused on your goals and to come up with solutions to challenges and obstacles that might get in the way. - Daily affirmations also can create higher vibrations of happiness, joy, appreciation, and gratitude that then, through the law of attraction, magnetize people, resources, and opportunities to come to you to help you achieve your goals. Whether you know it or not, you are always using affirmations… but usually not ones that will bring you what you want. • "Everything I eat goes straight to my hips." • "I am never going to meet somebody I can love." • "I never catch a break." • "No matter what I do, I never seem to get ahead." The use of daily positive affirmations interrupts and eventually totally replaces this barrage of negative thoughts and beliefs. To achieve this, you must continually flood your unconscious with thoughts and images of the new reality you wish to create. I am going to share with you two sets of guidelines for creating powerful daily affirmations that work—the long form and the short form. Here are the eight guidelines for creating effective daily affirmations. You may want to write these down. They are also in my book The Success Principles. 1. Start with the words "I am." 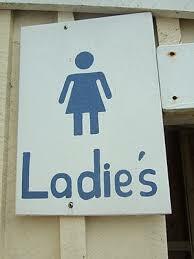 These are the two most powerful words in the English language. 2. Use the present tense. 3. State it in the positive. Affirm what you want, not what you don’t want. 6. Include an action word ending with –ing. 7. Include at least one dynamic emotion or feeling word. 8. Make affirmations for yourself, not others. You can use the following simple formula: I am so happy and grateful that I am now ... and then fill in the blank. - I am so happy and grateful that I am now earning $150,000 a year. - I am so happy and grateful that I am now celebrating having achieved my ideal weight of 140 pounds. I am enjoying living in my beautiful beachfront villa on the Ka’anapali coast of Maui or somewhere better. I started writing that affirmation in 1989 and in 2011 – that’s right, 22 years later, I had something better! Write down 3 affirmations for yourself that affirm you having already achieved 3 of your goals and dreams. Then, write down the time of day that you will commit to practicing your affirmations. Is it when you wake up in the morning? Before you go to sleep? Or mid-day when you need a pick-me-up? And to hold yourself accountable, go ahead and leave a comment below with your chosen time of day. I’ll follow up with you to make sure you’re staying on track! 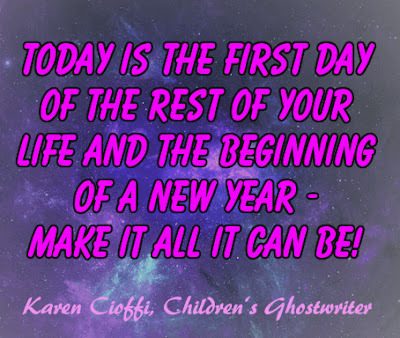 It is the first month of the New Year and for writers that usually means new projects, new goals, new and better ideas floating around in your head. It also means evaluating what worked last year and what needs to be changed. A renewal of your commitment to becoming more successful as a writer may include finding a critique group for that second eye at your work. If you don't currently have a critique group you may be wondering if you need one and if you do decide it might be a benefit, how do you find the right one? Here are some tips for helping you figure out if a critique group is right for you and finding the perfect members to make it work. A critique group should be a benefit to you and in turn you must be a benefit to the others. That being said, how do you find your group or as some writers call it, your tribe? Start with deciding what kind of group you want, online or in person. If you want to be part of an online group you can find your members from writing sites, online classes you have taken, through your current social media writing friends you already know or by asking and being recommended by other writers you are familiar with. Joining writer associations or other membership sites related to your genre can open up many opportunities to find a critique group in your area of interest online. If an in person group would benefit you more, check with your local library for any local writers that might also be interested. Local papers might also offer articles on other local authors or even list support/critique groups for writers in your community asking for members. Keep in mind that a critique group should offer you critical points that advance your story but should not demean you in a personal way. That's where the trust factor comes in. You must always trust that members are not tearing you down to make their writing feel better but are giving points to improve and lead you to more success. You in return must be the same type of critique partner. What other tips do you have for those seeking a critique group, and any thoughts on how and why a critique group has helped you can be shared in the comments. Here is to a successful 2017. Since I'm a writing coach and I often help clients learn how to use a blog to build their brand and their business and/or writing careers, many of my clients want to know how often they have to blog. Well, if you feel like you HAVE to blog, you probably shouldn’t be blogging in the first place! Blogging should be for someone who can’t WAIT to wake up in the morning and share more information with people. If you lack that, it could be a sign that you’re in the wrong niche. But let’s talk about traffic and authority. You’ll see some leaders in a niche who blog very infrequently. This is sometimes because blogging is a side tool for them. They primarily use other things like television, radio, webinars and live, in-person seminars to attract and cultivate an audience. But if you're a blogger who wants to use your blog as your primary source of audience engagement, then you need to make a commitment to show up and share on a regular basis. * More is better ONLY if there’s something valuable that you’re sharing. In other words, don’t blog just to blog. 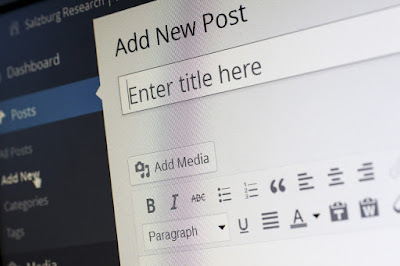 Don’t slap up meaningless content that dilutes the truly valuable blog posts you have just because someone told you to blog three times a day. What you ought to do is go through and develop your editorial calendar to see how much content you can conceivably create. You’ll be surprised at how many ideas you generate once you understand how to look for good blog ideas. As far as search engine bots (spiders) are concerned, they like to see a certain amount of “freshness” in your blog. They typically start off visiting your blog once every couple of weeks, but they narrow their visitation schedule to index your site if you blog regularly, and this looks good and helps you get content indexed faster. It’s also helpful to your blog subscribers if you blog frequently. If this is a topic they’re interested in, then you want to be the go-to authority figure in your niche – the person they know will have continual updates and fresh information. A daily schedule is best. Some people post several times and day, and this is great, too. Don’t burden yourself trying to reach that goal, though. If you can only manage to post three times a week, then do it three times a week. However, there is such as thing as blogging too little. When you start going weeks or months without blogging, don’t expect a blog audience to stick around and become subscribers and fans of your content. In fact, they won’t even know who you are! 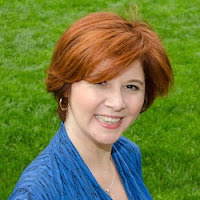 Suzanne Lieurance is a freelance writer, the author of over 30 published books, and the Working Writer's Coach. Let her teach you how to turn writing about your personal experiences into a career and your brand. Writing is like exercise. The best way for writers to improve their craft is to keep writing: write more, write different, and write outside of your comfort zone. 1. Journal Regularly. It seems like any and all of my advice begins with journalling. It can help you improve your writing and organize your thoughts, while developing your tone, style, and voice. Set aside some time (at least 15 minutes, at least once a week) to share your thoughts and brainstorm ideas in your journal. You never know what you'll create when you just allow your pen (or keyboard) to flow. 2. Start or Refresh Your Blog. A blog is the best way to showcase your expertise as a writer, and within your niche, so potential customers and clients can find you online. Even if you only blog once a week, on a consistent day and time, you are getting who you are and what you know out there. 3. Submit. 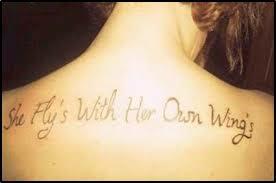 Don’t keep your writing to yourself. Enter a contest. Pitch an agent. Write an article and query a dream publication. If you already do this, double your efforts in the new year. 4. Write in a Different Style or Genre. Are you a technical writer? Explore fiction. Do you write screenplays? Try an essay. While it's great to have a niche where you excel, it's also fun to try something different. 5. Try a Different Length or Format. Similar to above ... If you write short blog posts, try writing long. 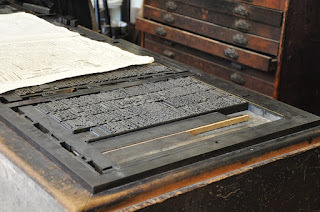 If you tend to write lengthy content, write something concise. Or write a book (fiction or non-fiction). That will certainly expand your writing repertoire. 6. Write What You Avoid. Choose something you have been meaning to write that you somehow keep avoiding. Then, do it! 7. Have Fun! People sometimes forget that writing is supposed to be fun. If you love what you are writing, there’s a greater likelihood that others will love it too. Bring your passion through your words to your audience. Try one of these goals or all of them. My goal is to set you all up for success in the new year. Here’s to a fabulous 2017! What do you think? 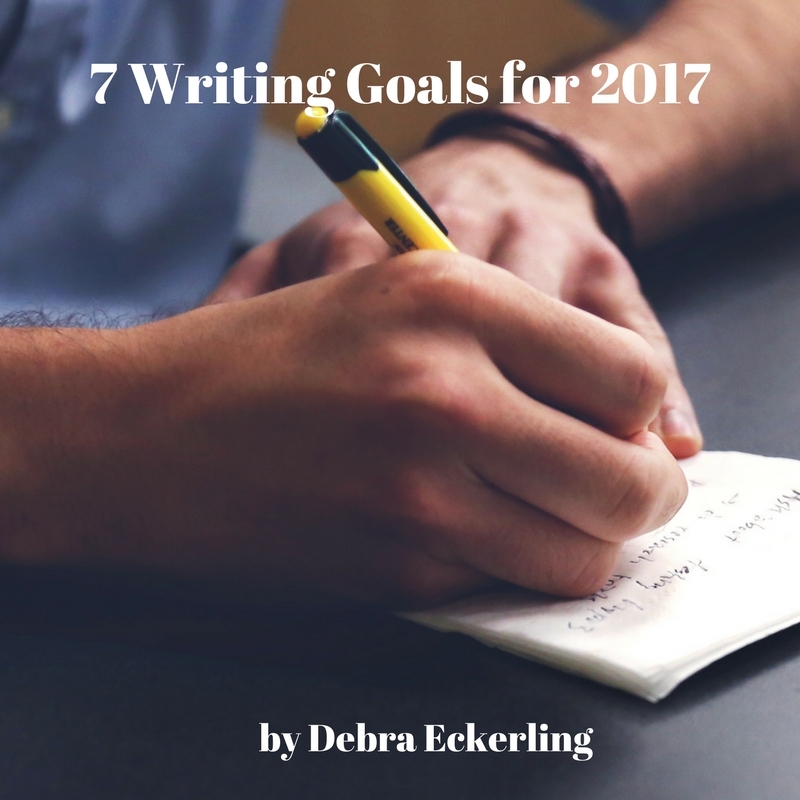 What are your writing goals for 2017? Please share them in the comments. People in all walks of life work mightily on perfecting their résumés and other career-building documents and then forget one vital step. An editor. 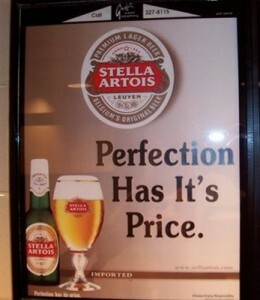 Preferably an editor versed in all the elements of writing including grammar, punctuation, storytelling…wait! Storytelling? Yes. And some other surprises like marketing—and a little knowledge about psychology won’t hurt either. There are a whole lot of tattletale words you shouldn’t use in your résumé or related documents like biographies, proposals, query letters, and media kits. All of these documents are designed to convince the reader of your ability to do the job—your expertise—and to nudge your career (or product) toward success. So what are those words? And how do they relate to storytelling? Ambitious is one of the most frequently used tattletale words. It seems like a wasted word doesn’t it. A couple more that mean little because of overuse or are downright laughable are highly motivated or responsible. That you are writing this document is an indication that you are ambitious. This is where that storytelling thing comes in. You tell a little story that subtly shows the responsible, ambitious, or highly motivated aspect of your work habits. Using the age-old writers’ motto, “show, don’t tell,” will keep your reader from asking—often with a touch of irony—what makes you ambitious. King Midas was ambitious. Maybe your reader assumes your father got tired of seeing you playing video games and you got ambitious only when it looked as if the couch would no longer be a good place to park yourself. So what is your story? Tell about the upward movement in your chosen career or even between careers—how one informs the other and gives you knowledge and a dimension that no other applicant is likely to have. Overblown adjectives. Words like exciting and amazing—even when they describe results or projects—are anathema. They have the same problem as hardworking above. I call this the awesome syndrome. They are words that tempt a reader to scoff. Instead tell a story about the extra effort you put into a project and the difference it made. Or quote one of the rave reviews you received from one of your supervisors in a periodic assessment, recommendation, or endorsement. Team player has been a cliché for decades.. Instead choose a group project you’ve worked on and tell about your contributions. 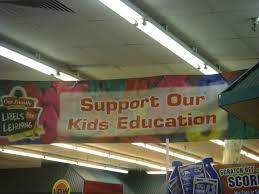 Or just list some of the ways you might have helped another department or division. And, because human brains have been wired for stories since we sat around the fires we made in caves, make it into an anecdote if you can. Microsoft Word. I’m proud that I can produce an entire book using Word from its Contents to its Index to its Footnotes. I love that I don’t have to spend time learning another program. But there’s no point in telling people that I’m an expert at Word. Everyone is. Of course, I can use it prove another point like how well I have managed to adapt its features to new, advanced project and tell how much time I saved by doing that rather than learning a new program. I might mention how much more professional it looked even as I saved that time. And I might mention that my project got rave reviews. Some frequently used words like synergy have become a way to insert some humor into a résumé and that has become as much of a cliché as the overuse of the word. Marco Buscaglia picked this word out of the hundred (if not thousands) of popular words I call business-ese. You can avoid them by reviewing your copy and purging anything that sounds officious including most words with more than three syllables. Think in terms of relationships, colleagues in other departments, associates in competing companies, respected academicians, mentors beyond your teachers. Though a good story can take even that kind of mentorship out of the humdrum and into an Aha! Moment. Before you send off your paper, go over it. Find all the weak verbs—is, be, do—and use your thesaurus to strengthen them and to make them more accurate. Carolyn Howard-Johnson was an instructor for UCLA Extension's world-renown Writers' Program for nearly a decade and edits books of fiction and poetry. She is the author of the HowToDoItFrugally series of books for writers including The Frugal Editor and The Frugal Book Promoter. They are both USA Book News award-winners and both have won several other awards. Her How To Get Great Book Reviews Frugally and Ethically: The ins and outs of using free reviews to build and sustain a writing career.is the newest book in her HowToDoItFrugally series of books for writers. Her The Great First Impression Book Proposal is a booklet that can save anyone writing a proposal time reading tomes because it can be read in 30 minutes flat. Carolyn is the recipient of the California Legislature's Woman of the Year in Arts and Entertainment Award and was honored by Pasadena Weekly for her literary activism. She is also is a popular speaker and actor. Her website is www.HowToDoItFrugally.com. While marketing strategies can come and go, there are still those that are top contenders and email marketing is one of them. And, it's an important strategy in book marketing. 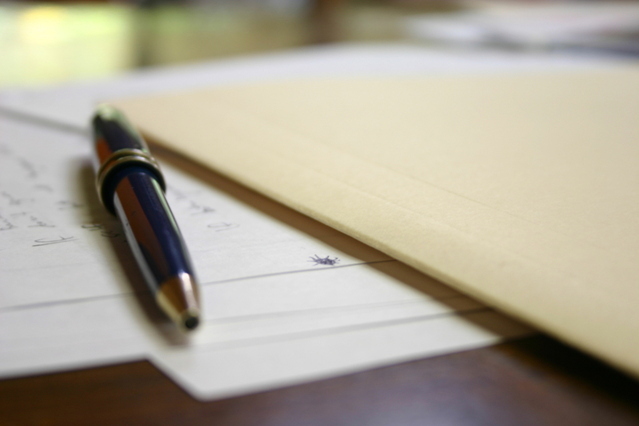 So, what makes email marketing so important - why exactly should you be doin' it? 1. 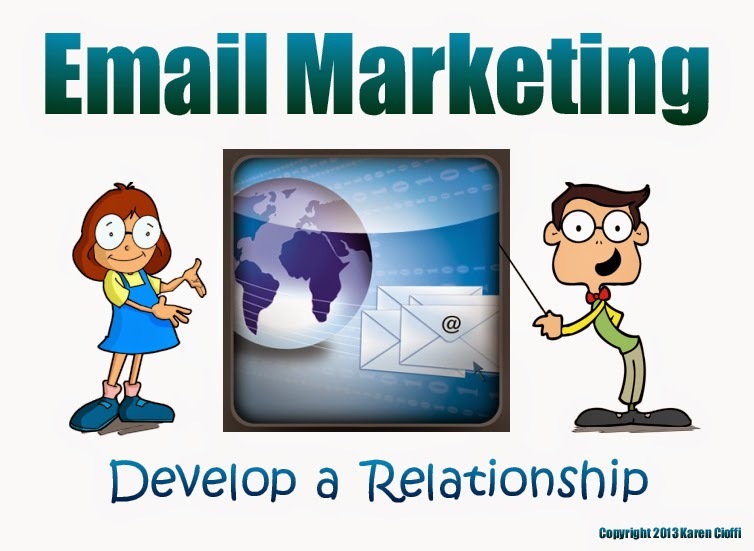 Email lists are personal and build relationships. They help you develop a relationship with your subscribers. No other marketing strategy offers this ‘personal touch’ element. 2. Emails drive targeted traffic to your website. This means the people clicking on your email links (CTAs) are already interested in what you offer. 3. It’s one of the most cost-effective strategies there is (in other words, it’s cheap and has a great ROI). 4. It’s is easy and quick. Services, like GetResponse make it super-easy to create lists (campaigns), create the coded optins, and allows you to send out emails immediately. 5. It allows for automation. This means you can schedule emails to go out at specific days and times and segment (divide) your list. 6. It’s versatile and customizable. You can create a variety of campaigns, segway into other campaigns, use for weekly workshops, and so much more. 7. It generates results. 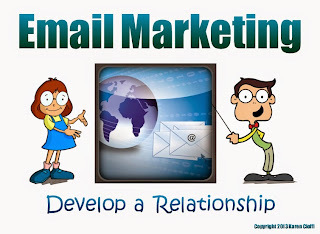 Email marketing is one of the only strategies that encourages subscribers to become customers or to take other actions. 8. Allows you to measure results. Email marketing services have analytical tools in place that give you much need information, such as how many subscribers open your emails and how many click on the links in your emails. 9. Beats social media’s conversion rates. 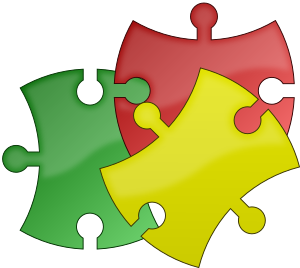 Conversion is the process of a person taking a desired action, such as clicking on your link or optin. You may feel it’s all just too much. You already blog as part of your marketing strategy, isn’t that enough? Well, it’s really not. Keep in mind that if you use social media to share your posts, you’re only reaching a minute percentage of your followers. And, less than 1% of your website visitors will buy from a random blog post they clicked onto. As number 7 above says, email marketing produces results. And, your efforts can be as simple as linking to your most recent blog post from within your newsletter or email. Be sure to use it as part of your book marketing strategy.